Love to run? 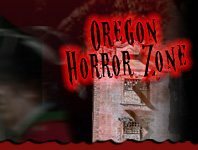 Sign up for one of Oregon's Zombie 5k Runs this Fall, and get ready for a scary good time! Unlike your average 5k Run, Zombie 5ks consist of runners, and zombies to chase them down - which side will you pick? If you're a fitness fiend looking for a fun way to enjoy the Halloween Season, sign up for a Zombie 5k today, and get ready to run! Ashland Monster Dash and Ball Pasta Party Ashland 240 days ago Rate Now!